Randstad Sourceright, a global talent leader and an operating company of Randstad Holding nv, today announced the release of a new independent research report conducted in conjunction with Everest Group, "Capturing Strategic Value in RPO," as well as an accompanying white paper, "Capturing Value-added Services in Today's Mature RPO Model." The new educational materials highlight how changing client expectations and enhanced provider delivery capabilities converge to drive more value in recruitment process outsourcing (RPO) programs. The research addresses key value areas identified from a survey of talent acquisition leaders with RPO programs in place about how expectations have evolved over the past few years. As part of a growing trend, RPO buyers are turning over strategic components of their talent management plans to external providers, resulting in greater business outcomes through better recruitment efficiencies and quality of hire. Randstad Sourceright's accompanying white paper explores each of these value-added services in-depth, including: talent community management, advanced analytics, employer branding strategies and tactics, assessments, workforce planning and process reengineering. "To operate effectively in today's dynamic business environment, organizations must be able to identify the processes and solutions that can enhance the way they acquire qualified talent," said Rajesh Ranjan, vice president and leader of Everest Group's Business Process Outsourcing research program. "While the idea of working with an RPO provider to ensure they find right-fit individuals is not new, the nature of those engagements has changed dramatically. For greatest success, it is crucial that employers understand the full spectrum of what their provider can deliver and identify the services that can best advance the company's hiring objectives." As RPO engagements continue to become more widely-adopted around the globe, and as organizations already engaged continue to evolve their programs, there is growing focus on what can be delivered through strategic RPO partnerships. 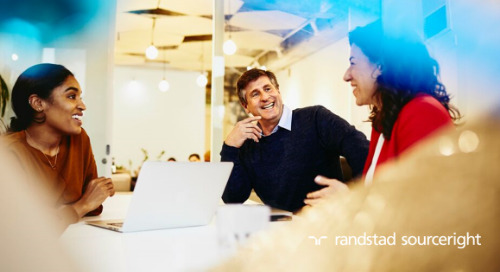 In the white paper, Randstad Sourceright addresses how employers can elevate their talent attraction and engagement processes to better meet the changing expectations through their RPO partnerships. This is particularly critical due to growing competition to find and retain increasingly scarce talent in an improving global economy. "The RPO environment is one that continues to mature, and Randstad Sourceright has made it our mission to meet growing client expectations with innovative RPO solutions to source, identify and effectively deliver the right talent to their organizations," said Rebecca Callahan, Group President, Professional Solutions for Randstad US and president, RPO for Randstad Sourceright.  "Dedicated to providing our clients with the latest market insights, we are also excited to offer this in-depth look on maximizing value through RPO partnerships to ensure workforce planning aligns with strategic business goals." In addition to the report, Randstad Sourceright will highlight the findings from this research in a complimentary webinar, "Capturing Strategic Value in RPO - The What and How of Value-Added Services." The webinar will take place on Thursday, May 29, 2014 at 1:00 p.m. EDT. Attendees of the webinar will also receive a complimentary copy of "Capturing Value-added Services in Today's Mature RPO Model." Registration details for the webinar can be accessed at: http://goo.gl/fudZk8.